Just a note to say that the SmallyMouse2 project is now released. The adapter is powered from the host, but also has the option of external power if desired/necessary. The firmware has been completely rewritten from the original SmallyMouse. The quadrature emulation is now far more 'analogue' - the frequency of the output is carefully controlled to create a close emulation of the 'analogue' feel from mechanical quadrature mice to ensure maximum compatibility. Check your PP in the following days : words are nice, money is even nicer. Thanks Donations (big and small) are always greatly appreciated and helps me with both continued development and funding the next idea! simoni wrote: Thanks Donations (big and small) are always greatly appreciated and helps me with both continued development and funding the next idea! Very well understood, Sir ! With Official support from Simon, i have geared up to produce 50 fully built and tested units for you lovely people. First shipment of 10 will be ready to ship in a week followed by 20 more the following week, if demand is there i can reorder a larger qty. hope to have some piccys soon. 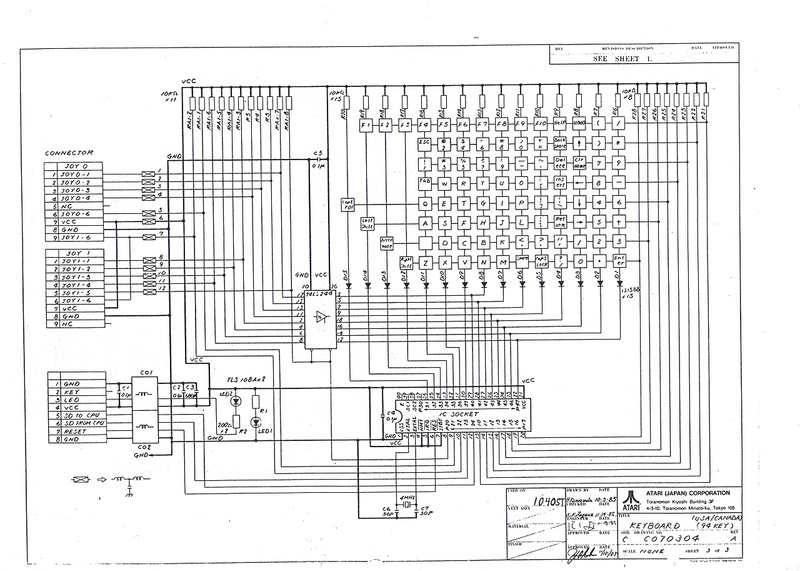 V2 of Simon Inns' USB->Quad adapter including Arc adapter instructions. £35 each built. I have one SmallyMouse2 left for sale if anyone would like it. TheCorfiot wrote: I have one SmallyMouse2 left for sale if anyone would like it. I'm happy to see that they are popular Chris (from CJE) did ask permission to make them (even though it's open-source/hardware and he doesn't need my permission) - and he's attributed and linked back to the project pages, so CJE get a thumbs-up from me - cases look nice too! Do you know who is doing the manufacturing for CJE? I don't know the exact details (they are being assembled professionally in the UK though); but I believe Chris from CJE is on the forums, so you could ask him directly? IanS wrote: Do you know who is doing the manufacturing for CJE? No not that Castle, but Castle Technologies in Stranraer! The bbc master version works in amx or marconi mode? It works in AMX mode; this is because most software is for AMX and the only important thing that used Marconi (i.e. Domesday/Acorn VFS) also works fine with AMX. Thank you for the info! I have 2 bbc master compact (and a A3000) so i made an adapter based on arduino nano, that support both Marconi (in the Compact is used by the welcome disk) and Amx, if left mouse button pressed at boot time. My solution is not accurate as yours, because i did't managed the timing problems, but for compact (and its db9 connector) i am afraid Smallymouse2 is not the best solution... I will try it for my future Bbc models! But if you have a solution that works, that's cool too! Complete kits with cables for plug and play available.. Thanks to Bas, I now have my own SmallyMouse2 to play with, and very impressive it is too. I opted for a cable for 32-bit Acorns (RPC et al). I'd also like to use it with an Atari ST and (if I can find a suitable one on Ebay) an Amiga, so I need to make my own cables. Does it matter which one I choose? Prices vary from 23p (Harwin - never heard of 'em) to 98p (TE Connectivity) for the connector. The Atari ST mouse (joystick) port has a +5V supply pin. Seriously, Harwin connectors are fine More than good enough for home use. And often they are good value. It does, but the mA output from it is very low apparently and the 5Vs is often 4.5V... and real USB requires 5Vs. Bas "TheCorfiot" tested a ST machine and it had drop-out issues caused by the supply. I don't own an ST, so I can't test; but SmallyMouse2 is designed to support an external 5V regulated supply (due to this very reason) so there is no reason not to just grab one and try. Generally, if there is a PS/2 based mouse interface out there for the machine (that provides a USB plug output) then SmallyMouse2 will work as well. However, I like to be careful with my claims and no-one has confirmed or denied the test group (of 1 machine) yet. Confirmed working are Beebs, Archs, RISC PCs, Sinclair PC200 and Amigas. Unless others tell me "hey it worked!" then that's the 'tested' list so-far. If anyone has connected it to something not on the list then a copy of the pin-out and confirmation that it works would be appreciated. Then I can add the machine and pin-out to the project page for the benefit of all (there is also an open 'issue' on github if people would prefer to report it that way). I also measured the power requirements and provided the details and recommended minimums on the project page (since different USB mice draw different amounts of current, even if they are all 5Vs). If the mA output from the machine is low then I'd recommend using a wireless USB mouse; since they generally draw the least current from the USB port. The 5V output is only limited by the volt-drop on the supply cable and PCB tracks, plus a little bit of loss through the RF choke. It's a fed from the computers main +5V supply rail. What it can't supply, is large currents (say 100mA and greater), as you risk damage to PCB tracks. Other PS2 to "bus" mouse interfaces work fine from the Atari ST mouse ports. One problem with Atari ST computers, is that the SMPSU electrolytic capacitors are aging, this can result in the outputs being lower than they should be. Including the main 5V rail. One symptom is the display being affected durin floppy disk access. When powering SmallyMouse2 from the host computer attention should be given to the required amount of current consumed by both SmallyMouse2 and the connected USB mouse. The USB specification generally limits the maximum USB device consumption to 100mA and this figure should be used as the ‘normal’ consumption of USB mice in general. The SmallyMouse2 device (running firmware v1.1) was measured in the range of 59mA to 61mA (the power consumption varies depending on the activity levels of the mouse). A safe assumption is that the total required current supplied by the host should be 180mA (in total for both the mouse and SmallyMouse2). SmallyMouse2 is an AVR microcontroller, so it uses around the same current as any other of the PS/2 adapters (which are typically AVR or PIC based too). If the port supplies only 50mA and you plug any PS/2 or USB mouse into it - no matter the interface board - you will be over-spec. Same goes for Amigas, but the quoted maximum is very conservative it seems. This all varies from machine to machine and manufacturer to manufacturer, which is why I went into some detail about it on the project page. Thanks for the extra information. Okay, I will investigate in about two weeks time (see edited post above). Sounds good Mark. I wasn't trying to be snarky about the docs It's just a good idea to give it a read through if you want to test stuff; I would not like to feel responsible for damaged computers (even if it wouldn't technically be my fault)! If you get some results, positive or negative, it would be great if you could share your test results. I'll happily add any additional information to the project page. The good thing is that the SIL connector on SmallyMouse2 is designed to make it easy to externally power the board. That's why there are 2 GND pins in the SIL header; you can route all but the last 0V and 5V to the host (including the extra 0V line so the board is coupled to the host ground) and then the last 2 pins run to your DC jack or whatever type of power connector you want to use. Very, very impressed with SmallyMouse2, by the way.